Truely the most trying block so far! I complained a little about Spider Legs and Wood Lily, but that was nothing in comparison to this: the dreaded inset seams. 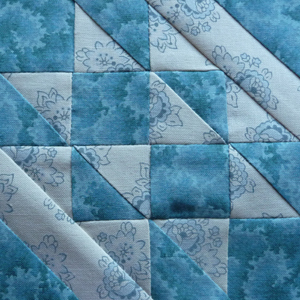 I expected it to get hard, and I needed six or seven attempts for the last four seams. It is not perfect, but it is the farthest from the bad result I expected. So I am actually quite happy with it. I like to be challenged sometimes when sewing more difficult patterns, but I can only really enjoy it when I finally manage to do it right and can hold in my hands a block that is worth looking at. Posted in Uncategorized and tagged farmer's wife, farmer’s wife quilt, homemaker, homemaker block, quilt, quilt block. Bookmark the permalink. The other day, I came across this equation: Modern Art = I could do that + Yeah, but you didn’t. I think that’s as funny as it’s true. Homeward Bound definitely is such a block of Modern Art. It is one of the few blocks I didn’t paper piece—no need to, on such solid grounds as squares and a few rectangles only. 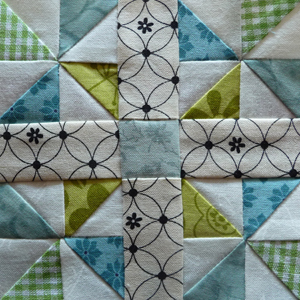 The most trying part was fussy cutting the four big squares. Posted in Uncategorized and tagged farmer's wife, farmer’s wife quilt, homeward bound, homeward bound block, quilt, quilt block. Bookmark the permalink. Honeycomb is one of the fresh looking patterns, although in fact it is very old already. 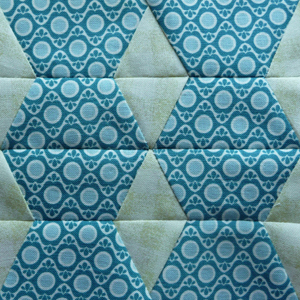 I find it very interesting because you can easily achieve a hexagonal structure without actually sewing hexagons. 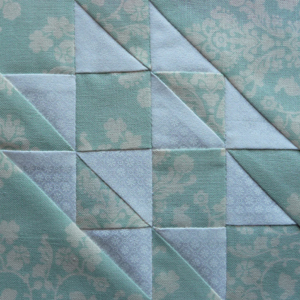 I “cheated” even more when sewing the green triangles in the centre where I left out one seam. Again, this is a pattern I would love to see a whole a quilt of. 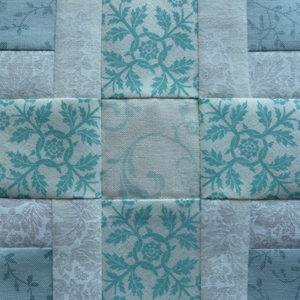 Posted in Uncategorized and tagged farmer's wife, farmer’s wife quilt, honeycomb, honeycomb block, quilt, quilt block. Bookmark the permalink. When planning Honey’s Choice, I soon found that I would not go with Laurie’s example and have only two different colours. In fact, every block I saw with three or more different prints was more satisfying than the original. The question that remained was, am I gonna use three different colours or even more, maybe do the four pinwheels each in a different colour. I found one example for this last option, but it still looked too “tame” for me. Then I came across an example where each pinwheel consisted of four different prints (plus background), and I liked this idea very well. Is it too confused now? Posted in Uncategorized and tagged farmer's wife, farmer’s wife quilt, honey’s choice, honey’s choice block, quilt, quilt block. Bookmark the permalink. I am posting these two blocks together for the obvious reason that they are very, very similar. Almost twins. Plus their names are so similar that one directly succeeds the other in Laurie Hird’s book. The two blocks are an excellent illustration of how different a block can look when using different colours or hues. Okay, the colours in my example are rather too similar—dark and light hues used for the same pieces—but I still hope that you’ll get my meaning. 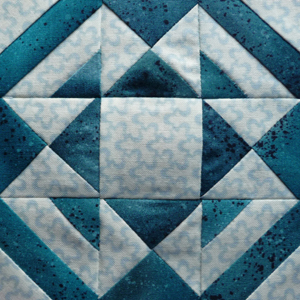 There is also a Hovering Hawks block in Barbara Brackman’s Civil War Sampler—a quilt consisting of 50 blocks, commemorating the 150th anniversary of the Civil War in 2011—that is looking slightly different. In fact, there are a number of blocks that appear in both samplers but that is only natural, since a sampler is always a compilation of patterns that are known already in other contexts. Posted in Uncategorized and tagged farmer's wife, farmer’s wife quilt, hovering birds, hovering birds block, hovering hawks, hovering hawks block, quilt, quilt block. Bookmark the permalink. 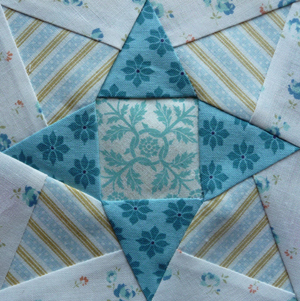 Posted in Uncategorized and tagged farmer's wife, farmer’s wife quilt, jackknife, jackknife block, quilt, quilt block. Bookmark the permalink. What a great, simple pattern! Please excuse my exuberance for such a plain block. It is the first block I could paper piece as a whole. No need to cut tiny shapes, pin, sew, undo, pin again, and so on … Just four prints, in simple shapes, seams meeting exactly on point, wonderful! 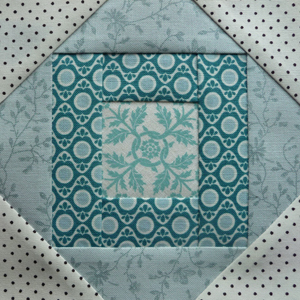 I think this block makes a great impression with little effort. I especially like the fussy cut centre. That’s from the print I decided not to like after sewing Sawtooth. And now I only resort to it when I want a fussy cut, ornamental piece. Like the trunk of my Pine Tree, and a very small clipping in my Postage Stamp block. Posted in Uncategorized and tagged farmer's wife, farmer’s wife quilt, kitchen woodbox, kitchen woodbox block, quilt, quilt block. Bookmark the permalink.